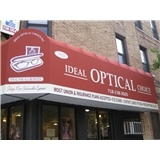 Ideal Optical Choice (Brooklyn) - Book Appointment Online! Our facility specializes in everything you would need from an Ideal vision center. We use the most advanced equipment to diagnose and treat eye diseases. Common eye conditions include conjunctivitis, glaucoma, cataracts, macular degeneration, dry eyes. Staff of Dr Sandhu were quick and efficient. Clean environment.